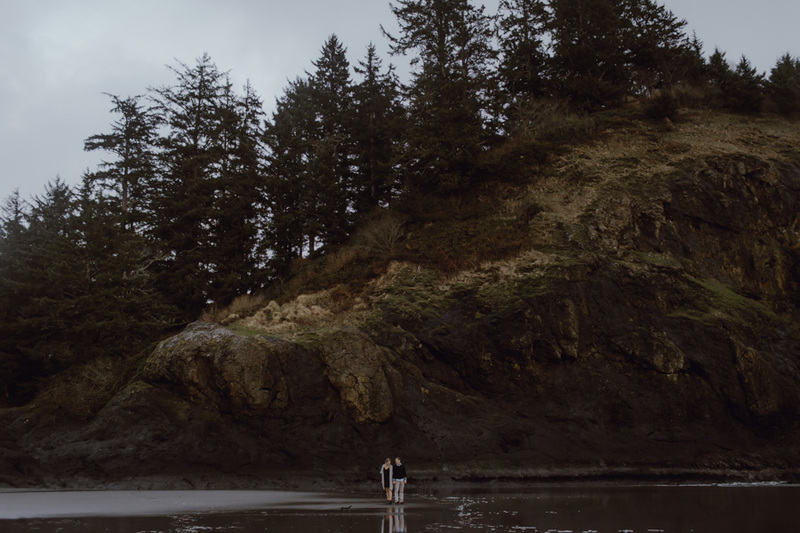 Katie + Bryan braved the rain to explore the Oregon Coast for their engagement session. The dark sand and muted green tones of the cliffs made for a perfect backdrop. Check out more from Portland Wedding Photographer Catalina Jean over on her website. This is one of my favorite first dances I have ever experienced. After eloping under a Christmas tree Ashley + Caleb played their song on one of their phones and danced. Danced together right in the middle of one of the busiest parts of downtown. People were walking all around, cars flew by, and right when they started dancing it began to rain. They kept dancing and the world around them disappeared. Time stopped, rain drops fell, and they held each other – lost in the moment, lost in each other, lost in their love. You can check out more from Portland wedding photographer Catalina Jean over on her website. Rachel + Kurt were visiting from Texas and wanted to explore the natural beauty around the NW for their bridal session. Wahclella Falls sure did provide the perfect backdrop! Check out more from Portland Wedding Photographer Catalina Jean over on her blog. This beautiful bride is prepping for her wedding day at The Colony in Portland, Oregon. The dark walls in the bridal suite are perfect to create gorgeous contrast in getting ready photos. You can see more from Catalina Jean Photography by clicking here. Krystle + Brian have the sort of love that is so evident, so carefree. It was very important to them that we utilized all the variety of scenery that the NW has to offer. So we started the session at The Vista House, explored the dense forests around Larch Mountain, and finished up right before sunset over at Rowena Crest. You can check out more from Catalina Jean Photography over on her website. Caitlin + Robbie’s wedding included everything that Portlanders love: great food, micro brews, and a ceremony site with sweeping views of downtown PDX. We had a blast adventuring around the area and using urban elements as backdrops for portraits. Portland is full of wonderful colored walls! This one matched their outfit colors perfectly. Check out more from Portland Wedding Photographer Catalina Jean by clicking here. Beautiful fog rolled in creating a misty background for Lita + Devin’s Oregon coast wedding. While sunny days are beautiful in their own right there is something about fog that brings a pensive, emotional feeling to photos. You can check out more about Portland Wedding Photographer Catalina Jean over on her website. The Columbia Gorge Hotel provides a beautiful and classic space for weddings. And who doesn’t love being able to do portraits on the roof at sunset?? Check out more from Catalina Jean Photography over on her blog. I had the honor of photographing Elisa + Alex’s wedding almost a year ago. Elisa wanted to do a photo session for their anniversary since Alex was shipping off to boot camp in just a few weeks. It was so wonderful to shoot with them again and for such a special reason. You can check out more from Catalina Jean Photography over on her blog. Oregon has some of the most beautiful forests and tons of wonderful greenery. It can create a beautiful whimsical backdrop for stunning bridal portraits. You can check out more from this Columbia Gorge bridal session over on Catalina Jean’s blog. Ecola State Park is a very special place for Hannah + Patrick. They frequently hike and camp around the area together and share so many fond memories from their adventures. So this location was the obvious choice for their engagement session! 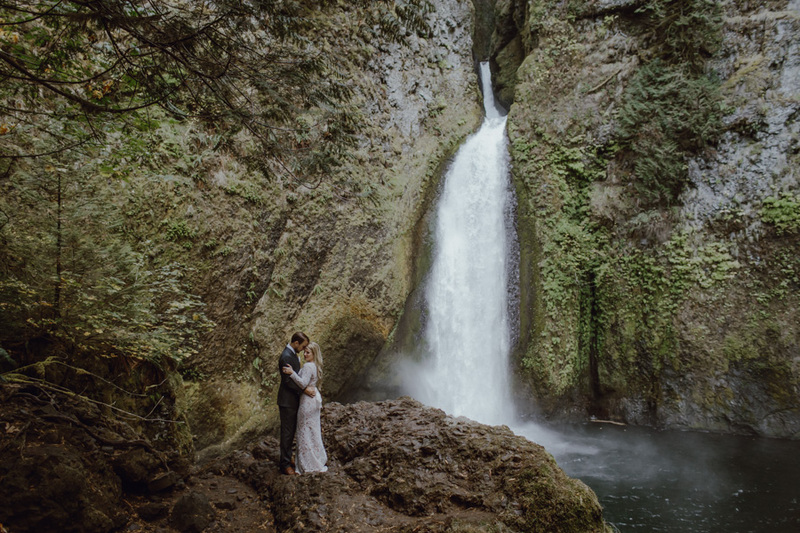 You can check out more from Catalina Jean who is a Portland Wedding Photographer specializing in adventurous, candid photography for engagements and weddings. The couple and Catalina Jean hiked for about 20 minutes to get out to this perfect spot overlooking the Columbia Gorge. Rowena Crest truly has one of the best views! Check out more from Catalina Jean Photography over on her website. Spring is in the air in Portland and this bouquet + flower crown are perfect for the season. This beautiful floral arrangement was created by Rosemary Stafford Floral Design. We just love the pairing of light pretty pinks with different shades of green. Check out more from Catalina Jean Photography over on her website. Spring is here! And so are the beautiful blooms around Portland. The flowers came out just in time for Kayleigh + Ponny’s wedding at Oaks Pioneer Church creating gorgeous floral-filled backdrops for their portraits. Check out more from Catalina Jean Photography over on her website. I was so excited when Emily approached me to take some professional photos of her two adorable Boston Terriers. She wanted to create a canvas collage of their family which of course included their fur children. You can check out more from Catalina Jean over on her blog! This couple wanted to do something out of the box for their maternity session. They were visiting family in Oregon and really wanted to utilize the Columbia Gorge for their photos. The sunset was absolutely perfect that night and covered the gorge in a wonderful glow. Check out more from this session as well as some other favorite photographs of 2014 shot by Catalina Jean. Brooke + Zach opted for an adventurous session in the snow at Timberline Lodge for their engagement session. It was definitely chilly but so worth it for such a beautiful location. Check out more from Catalina Jean Photography by clicking here. 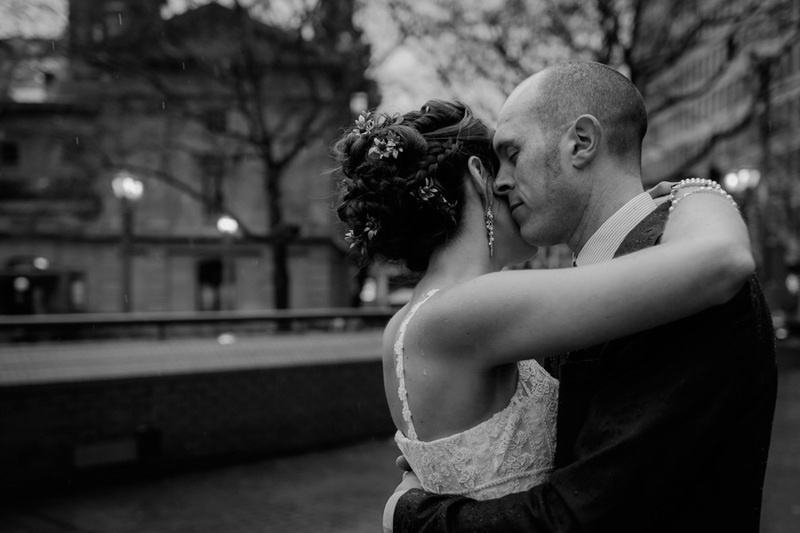 The rain let up just in time for this anniversary session at the downtown Portland waterfront. The texture in the clouds is just beautiful on rainy days in Oregon. Check out more from this session by Catalina Jean Photography over on her blog. Liz didn’t want the traditional style headshots for her new business venture (the exact nature of the venture is a secret for now!). We sat down and discussed the vision she had for her business and I designed a shoot that would produce images to come in line with that vision. She wanted something that reflected both her relational personality as well as her urban, modern style. You can check out more from Catalina Jean Photography by clicking here. Lifestyle Newborn Photography – Welcome Little Charlie! Cayla and Nick welcomed little baby Charlie over the summer and they opted for a lifestyle newborn session. Lifestyle photography sessions are focused on capturing the emotion and real connections between couples and their families. They also usually take place at a location that is special to the people involved. This leads to creating something beyond the normal portrait; something that truly captures the story of the most special times in one’s life. Check out more storytelling images over at Catalina Jean Photography’s blog.